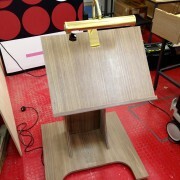 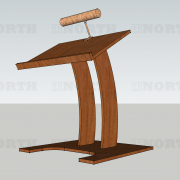 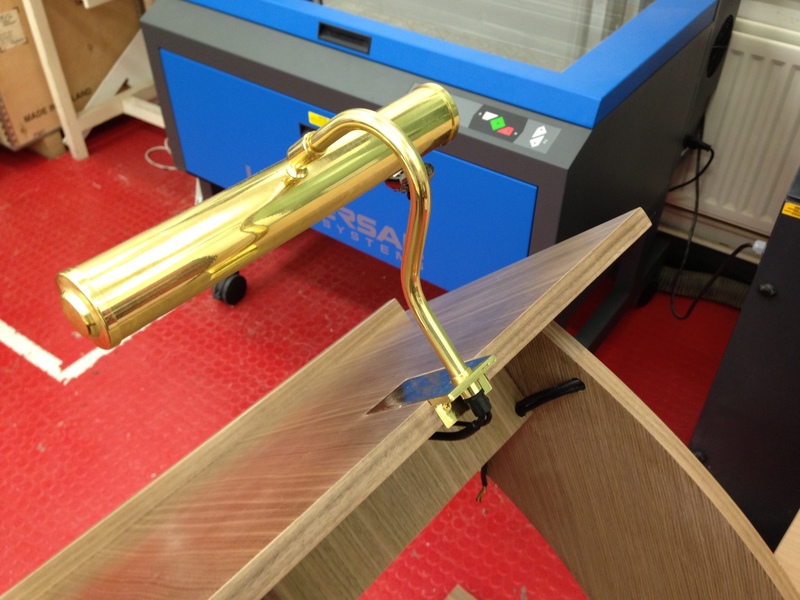 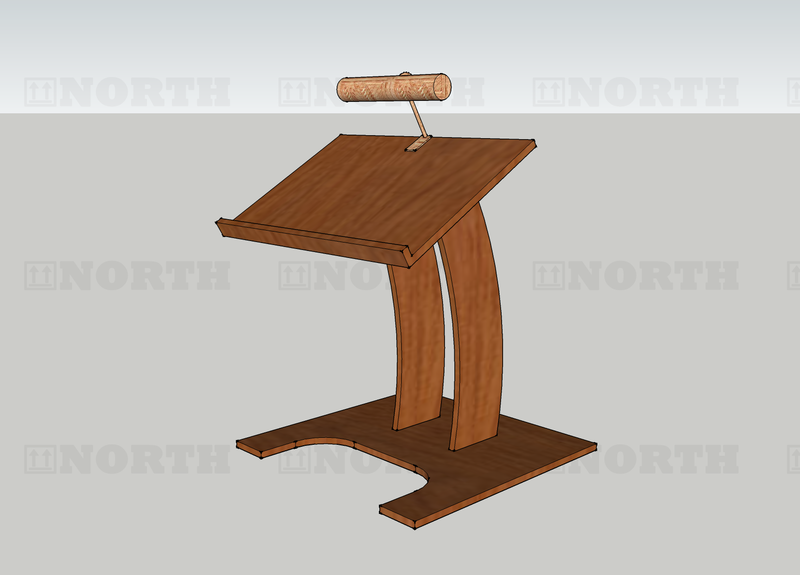 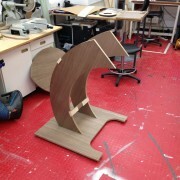 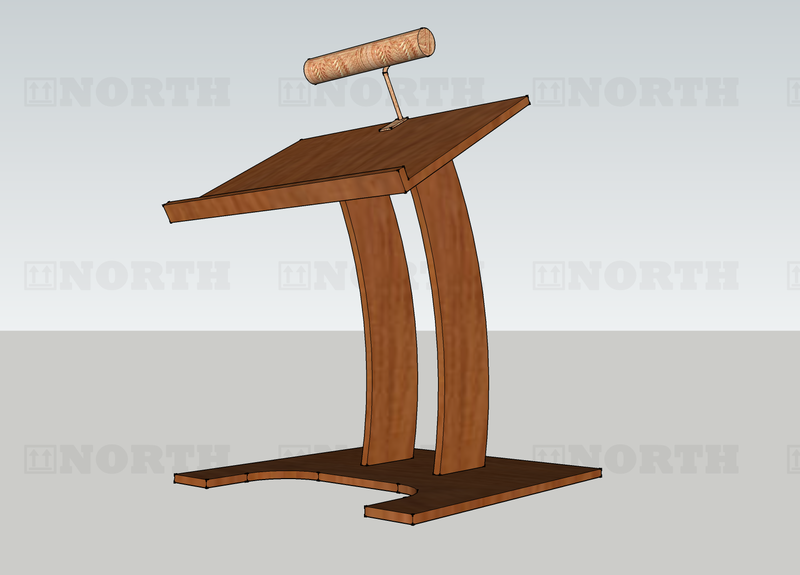 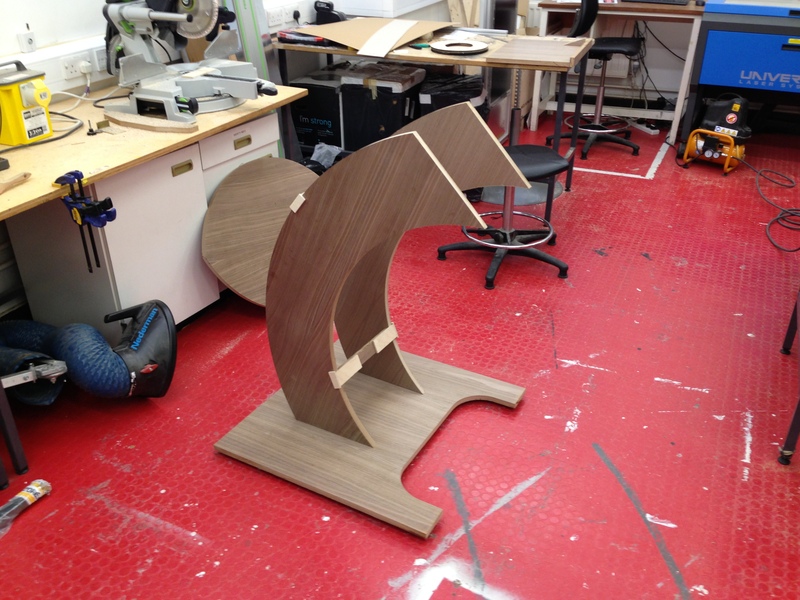 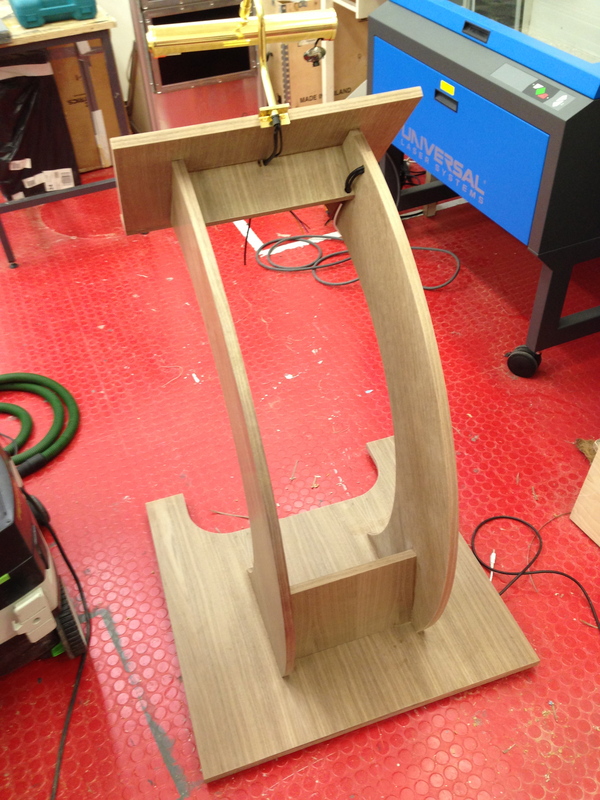 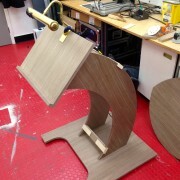 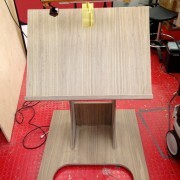 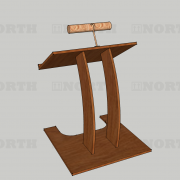 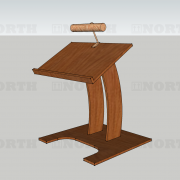 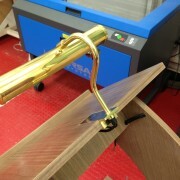 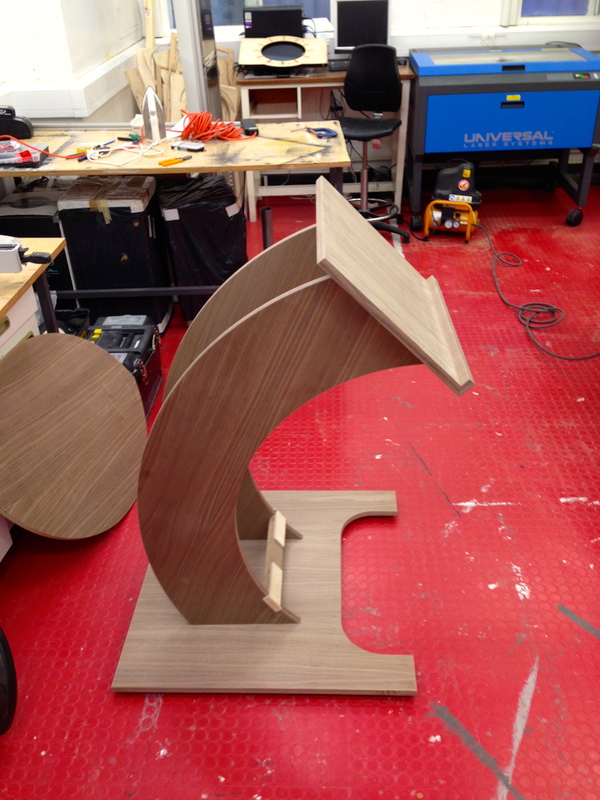 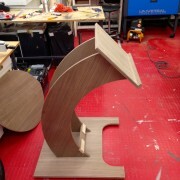 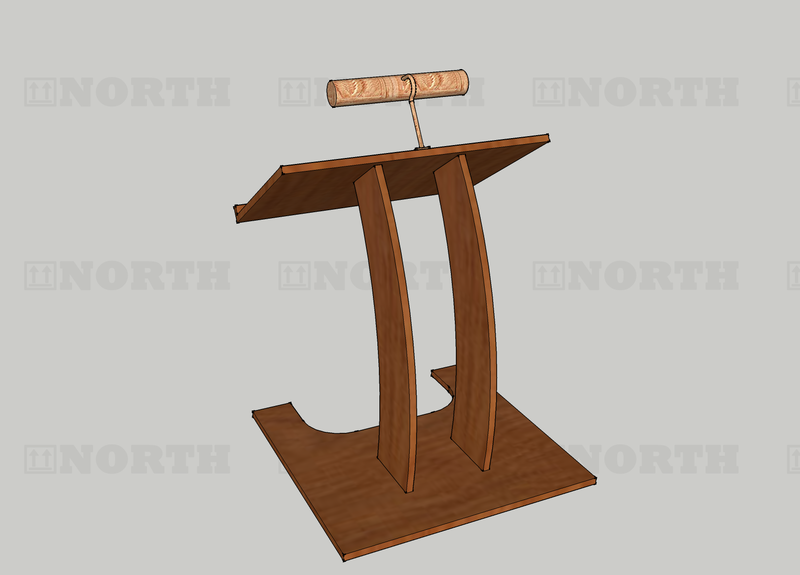 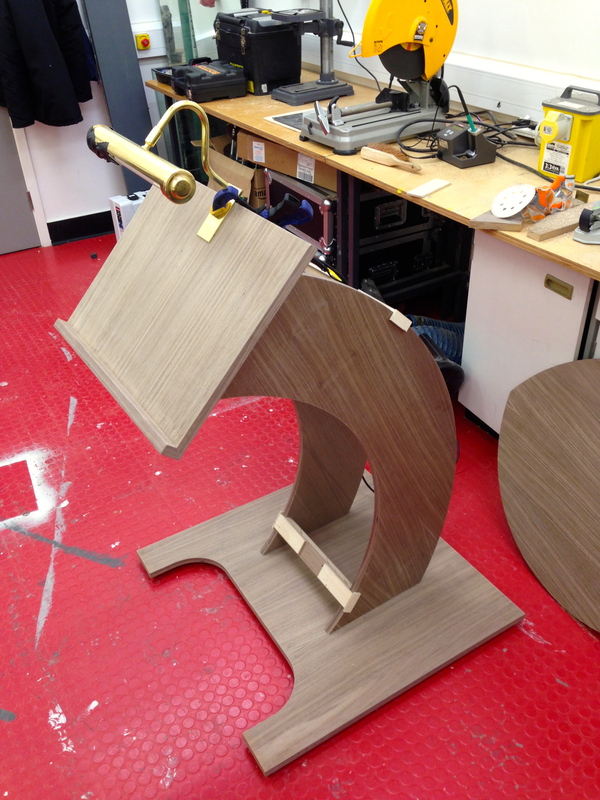 We were recently asked to design and build a lectern for an exhibition in March 2013. 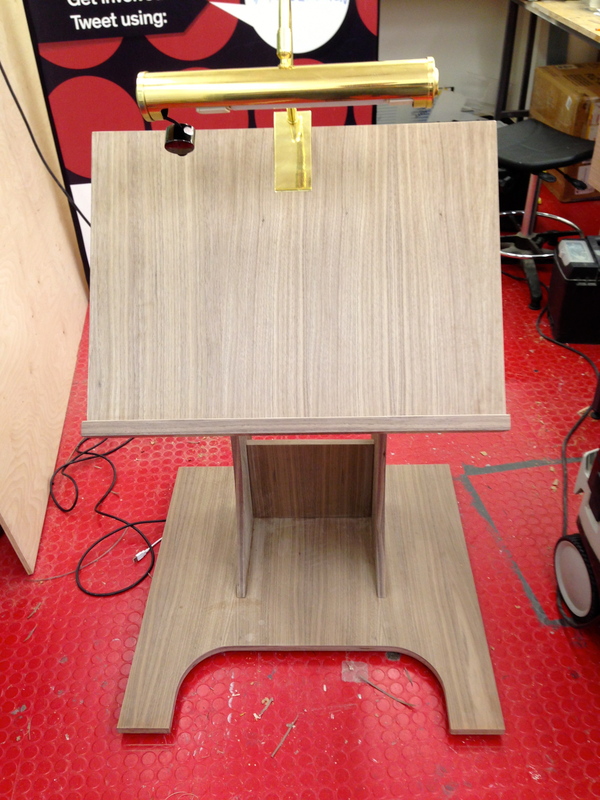 The sketchup drawings we made gave us the basis for the fabrication idea, and we ended up making the radius of the curve smaller in order to provide easier access for wheelchair users. 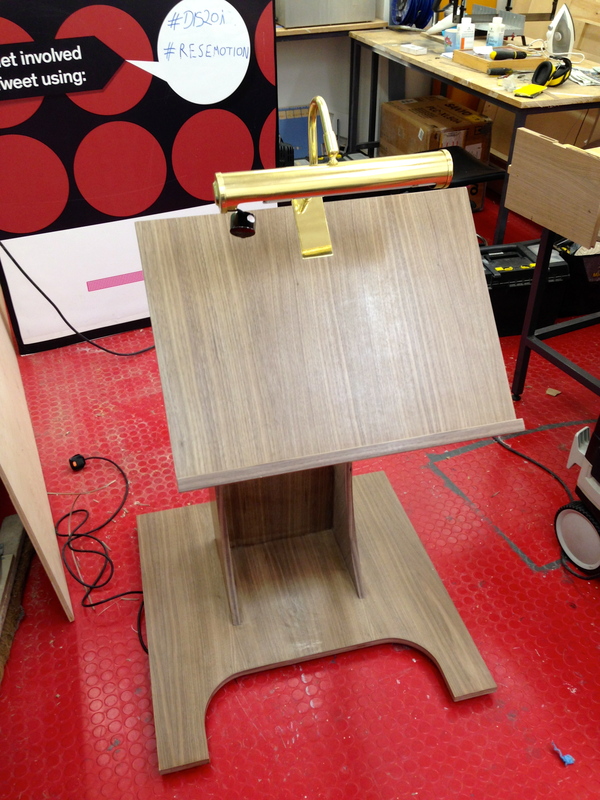 The lamp contains a camera which picks up a fiducial marker printed on the left hand page of an open book, so that when the book is browsed, a projector will display more visual content relevant to the content on the right hand page. 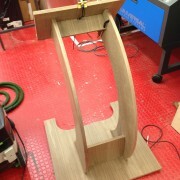 The power and data cables are embedded into the spine of the stand allowing the design of the lectern to dominate visually.